At Commitments Protection we understand that losing a loved one is a traumatic and difficult time. We help minimise the stress to your loved ones by providing funeral plans tailored to your individual needs. You can be confident that the cost of your funeral will be covered, and your plans carried out as requested. Here at Commitments we don’t discriminate against under 50s, nor do we charge a premium on our over 50s funeral cover. All of our funeral plans are available to anyone over the age of 18, no matter what your medical history or health status. We use one of the UKs most recognised providers of funeral plans and offer a range of funeral plans that can be tailored to your individual tastes and budget. By choosing a Safe Hands Funeral Plan you’ll be protecting your loved ones against the rising funeral costs. Our prices start from just £1,695 making us one of the UK’s most-affordable and cost-effective providers of funeral plans. Plus, we offer a choice of flexible payment options. You can pay as a lump sum, pay interest free over one or two years, or spread the cost over a term of up to ten years. Whichever option you choose, you lock in the price of the funeral director’s fees and services forever. We have taken great care to ensure that our pre-paid funeral plans remain competitive. Compare our 5 different funeral plan types to see which is most suited to you and then compare our plans against other market leaders. You can see for yourself that we are excellent value when compared to other funeral plan providers. The money you pay towards your Safe Hands Funeral Plan is held in a ring fenced trust fund. Our trust fund has been set up by specialist solicitors and is overseen by an independent panel of qualified trustees. You can be confident that, no matter how long you live, the security of your money will be maximised, and the cost of the funeral director’s fees and services will be covered forever – GUARANTEED! We understand that everyone is unique and that a funeral should reflect that. We offer a range of plans that cover different aspects of your funeral. The Topaz, Pearl, Sapphire and Ruby plans can each be tailored to your individual requirements. If you want to keep it really simple then we offer a basic Direct Cremation package. All of our plans can be upgraded or changed at any time and can be transferred across the UK at no extra cost. Whichever funeral plan you select, you can be confident that you’ll receive the highest standard of care. We work in partnership with the National Federation of Funeral Directors – the UK’s only trade body dedicated to increasing funeral cost transparency and pricing fairness. If you’re looking for flexible, affordable, funeral plans then we can help. When you invest in one of our funeral plans you really will be putting yourself in Safe Hands. 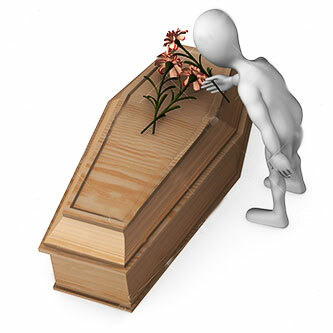 If you would like to enquire about our Funeral Plans or make use of one, select Quote now.